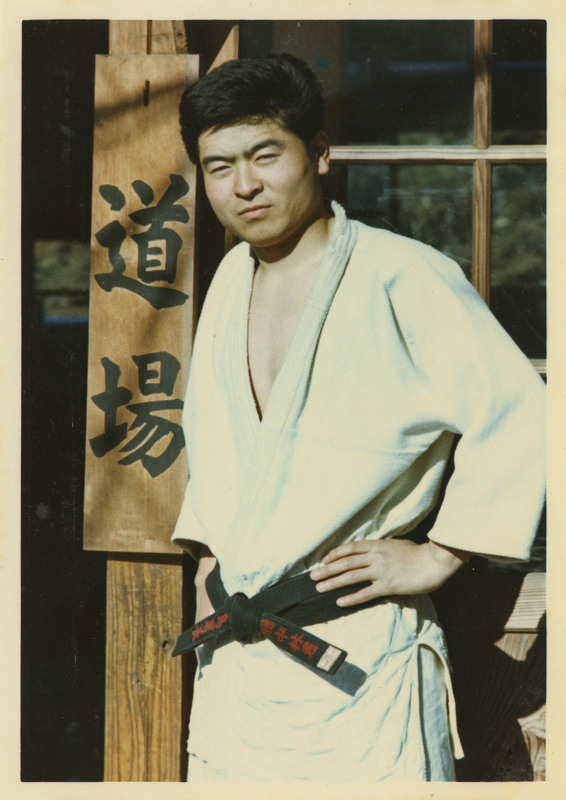 Kiyoshi Nakabayashi well remembers how, when he was a high school student in the late 1950s and early ’60s, newspapers were full of stories of violent gang wars being fought out openly on the streets of Tokyo. Most Japanese reacted to those brazen displays of violence with mute fear or, perversely, thrilled admiration. Nakabayashi’s reaction was different. “Like a doctor treats a sickness,” he says, he wanted to cure society of its ills. So, immediately after he graduated from high school in his native Nagano Prefecture, he went to Tokyo and signed up with the Metropolitan Police Department. It was in 1963, a year after Nakabayashi joined the police force, that the gangs — known in popular culture as the yakuza, but to officialdom as bōryokudan (violent groups) — reached a peak in their combined membership. It’s estimated they then numbered more than 184,000. Since then, the officially estimated number of gang members nationwide has been in a more or less steady decline. 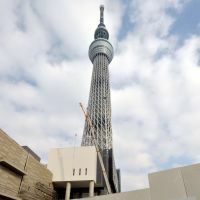 In 2009, the last year for which figures are available, the total gang membership hit 80,900 — but that decrease has done little to slow the regular drumbeat of murders, robberies, extortion, blackmail, fraud and other crimes that at regular intervals explode into very public scandals and remind Japan’s regular citizens of organized crime’s continuing role in society. Recently, however, efforts to curb gang activity have also made the headlines. One month ago, Tokyo and Okinawa became the last of Japan’s 47 prefectures to enact ordinances prohibiting, among other things, the payment by companies or businesses of any monies or other remuneration to the gangs. It’s always been illegal to extort. Now it’s illegal to pay an extortionist, too. 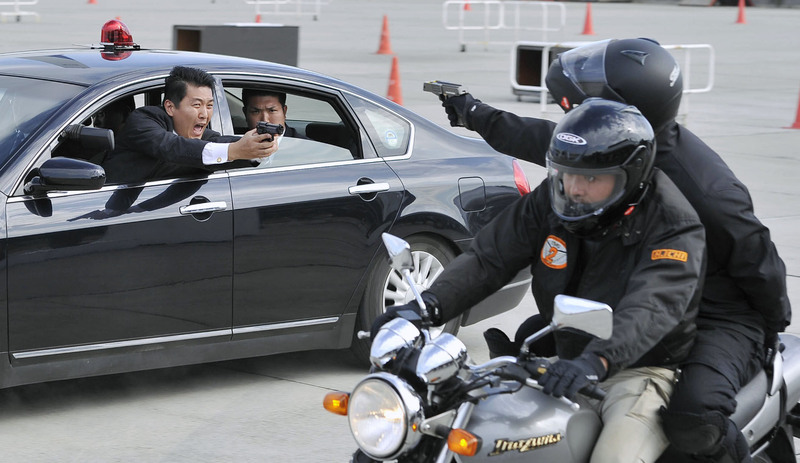 One person who welcomes the new regulations is Nakabayashi, who never forgot that it was a desire to deal with the gangs that set the trajectory for his near half-century career in law enforcement. Patrol officer, detective, sergeant: The physically imposing yet flawlessly professional Nakabayashi flew up the police ranks. By the age of 26 he had been transferred to the department responsible for dealing with organized crime. He retired from the force in 2003, having risen to be head of that department’s division dealing with Japanese organized crime. Nakabayashi agreed to talk to The Japan Times about his career because he believes passionately that the only true way to solve the problem of the gangs is to change the consciousness of the public. Japanese people, he says, have to shake off a mindset that tends toward resignation in the face of difficulties and a fear of being shamed, especially in public. This mindset, he believes, is the true lifeline of the gangs. But he thinks the new ordinances are a step in the right direction. 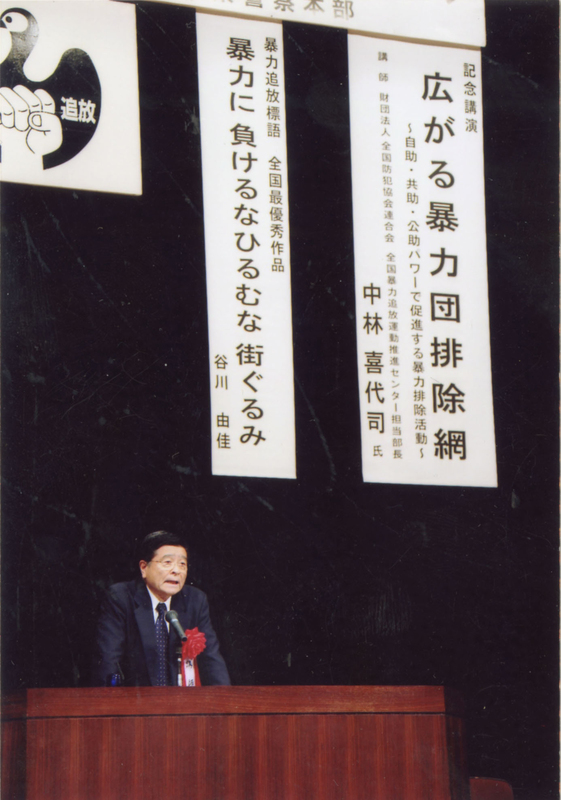 After retiring, Nakabayashi worked for several years at the government-mandated National Center for the Elimination of Bōryokudan (“Bōtsui Center”), which maintains a national network of facilities — at arm’s length from the police force — aimed at encouraging people who have fallen victim to the gangs, or worry that they might, to seek help. Now 67, Nakabayashi currently serves as an adviser to the Bōtsui Center. It was in their office in Tokyo’s Bunkyo Ward that he sat down last week to speak with The Japan Times. Why did you want to join the police? I was in high school during the postwar period of rapid economic development, around 1960. I thought a lot about what I should do, whether I should go to university or not. The newspapers were full of stories of gang wars — shootouts in broad daylight and so on. We were told it was the period of “postwar peace,” but domestically, Japan was at war, and that left a deep impression on me. I decided I wanted to do something to fix the illness that was afflicting society — like a doctor. I became interested in the police force and their gritty detectives who were standing up to the gangs. At the same time, the student movements were beginning, so I didn’t think I could learn anything at university. 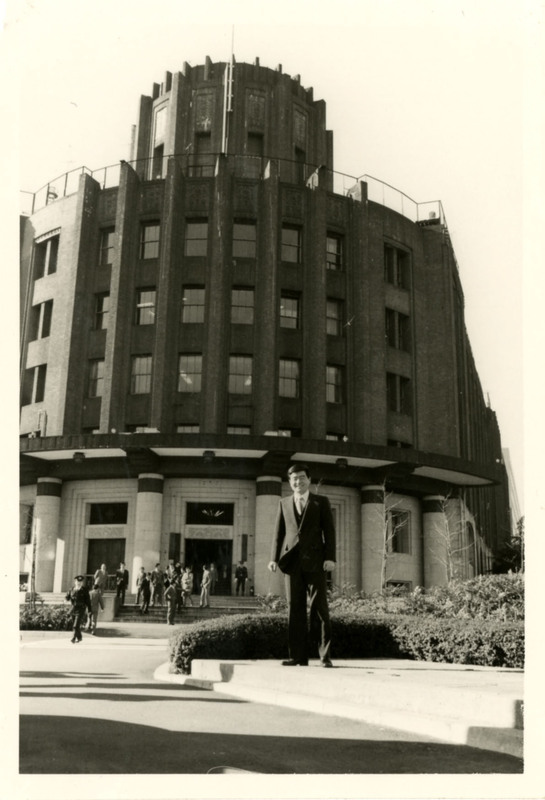 The police force, which in Tokyo was working to ensure the safety of that massive metropolis, was the “university” for me. You graduated from high school in Kiso, Nagano Prefecture and then you came to Tokyo to join the force. That’s right. I went through the initial training and started working here. Was the job what you expected it to be? 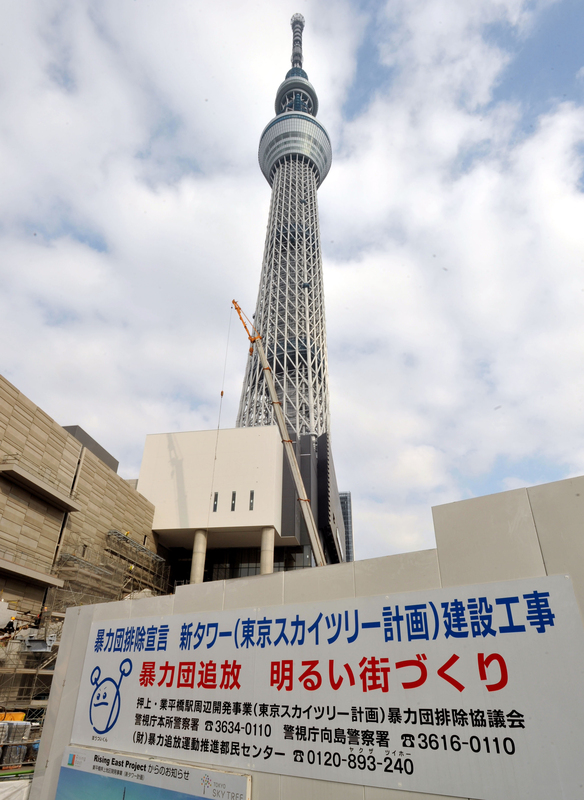 You joined in 1962, two years before the Tokyo Olympics. Yes, it was an extremely tense period. Establishing order in Tokyo was paramount. And of course, a key part of that was dealing with the gangs. They had taken advantage of the confused postwar situation and in 1963, a year before the Olympic Games, they hit the peak of their membership — about 184,200. And yet there were problems in the police force, too. In 1963, there was the infamous “Yoshinobu Incident,” in which a 4-year-old boy was abducted. The police messed up the early phases of the investigation and ended up going to pay the ransom — but then letting the criminal escape. They caught him two years later and discovered that the boy had actually been killed soon after being abducted. This was a huge scandal. Calls were made for the whole force to be overhauled and bolstered. I was a new patrolman at the time, but as a result of that upheaval I was sent to detective school when I was just 22. That the Yoshinobu Incident failures should never be repeated. They lectured us on carrying out investigations as part of a team; how to think as a team. They talked about developing an instinct for detective work; how to project authority; how to place yourself in a position of superiority over someone — and how dedication, sincerity and strength of will are essential. Those are the qualities you need when you confront a suspect or a bad person, and they are also essential in gaining the trust of a victim or an informant. If you can achieve that state of mind, then the details fall into place. What was your first posting after you became a detective? I went to a suburb out near Kichijoji, which at the time was like many developing areas in that it combined the elements of a dormitory town with an entertainment district near the train station. We had to do everything, but the most common trouble was street violence — the bōryokudan were everywhere. Of course, there were also robberies, fraud, youth crimes and so on. But I came to realize that the people pulling the strings were the bōryokudan. They bought the stolen goods and they organized the youths into gangs. You saw how their system worked? That’s right. And the next step in a police career is to become a sergeant. There was an exam, and I passed when I was 24. I was posted to a different station, and when I arrived there the chief of the detective section was waiting. “Oh, this guy’s big, and he looks earnest and capable. He can do bōryokudan!” he said. And that was fine by me except that in this particular suburb, the bōryokudan were very powerful — they would march right into the police station and shout at the chief. I won’t name the station now, but it was really rough. We soon realized that the best weapon we had against the bōryokudan was to prosecute them for gambling (which is illegal in Japan except under highly restricted conditions). Gravel-making was an important industry in that area. It was necessary for making concrete, and with the building boom the stuff was like diamonds. People were needed to make the gravel, as well as to be drivers, middlemen and dealers. And then there were executives from local companies and shop-owners, and every night they’d gamble at illegal dens. So we went after them. At the time, the usual approach was to try to catch people in the act of gambling, but we focused on past offences. The idea was to build up evidence, then obtain a warrant and make the arrests. We’d identify the den operators — the bosses — and the fixers who set up the venues. We’d investigate the gambling clientele. And, to avoid prosecuting the wrong people, we’d check up on alibis, investigate movements of funds in bank accounts, identify the hotels and houses where gambling took place — all the details. The better the initial investigations, the easier it was to join the dots and make the arrests. But, actually, in the middle of doing this kind of work I started pushing myself too hard and eventually got very sick, with a really high fever. My wife was so shocked that she insisted we went to a large hospital. They had an internal medicine specialist and he decided I should be hospitalized. It was a sudden inflammation of the kidneys, and if it had become chronic, I could have died. I was stunned, because I thought I was very healthy, doing judo and all. They didn’t have any medicine for it back then, so I just had to stop eating any kind of salt and rest. After a really tough month, my condition improved and I was moved into a large ward. I ended up becoming like the ringleader of the eight patients there, and I instituted a rule that we all laugh at least twice a day. Three months later the doctor congratulated me. Our ward had the highest recovery rate, he said, because I had made everyone laugh! I’ve made a slight digression there, but I did that for a reason. I came to realize that an illness is not something a doctor fixes. First and foremost, patients themselves have to fix it. The key to a patient’s success in doing this is the strength of their relationships — family, wife, children, parents, boss at work, seniors, colleagues. If you think a doctor and medicine alone will cure an illness, then you are making a big mistake. So the most important “medicine” is the strength of your relationships and how you can draw on those, your mental state — the same qualities that make a good detective. For example, I think that experience taught me how to communicate with people in a way that encourages them to open up, and that was important. How old were you when you got sick? It was 1971. I was 26, and it was a year after I got married. Did you return to the same police station after you left hospital? Before getting sick, I had been going after the gamblers and so I had started working with key members of the police force’s organized-crime department. After getting out of hospital, that was where I went back to. Please describe the historical background of the bōryokudan. The term “bōryokudan” itself didn’t start being used until around 1960, but their DNA can be traced back to the end of the Edo Period (1603-1867) — the time of gambling and “heroes of the common people,” like the famous (rice dealer turned gambling magnate) Shimizu Jirocho (1820-93). Back then, power meant financial strength; the ability to command loyalty and settle disputes. Gambling was permitted in shrine and temple grounds as long as a fee on winnings was paid to those shrines and temples. As the success of the silk industry introduced a cash economy into rural areas, it became more popular. Gambling operators established their own exclusive zones and hired thugs to keep rivals out. The gambling operators got rich and could start offering loans and, often, they presented themselves as saviors of the financially disadvantaged. At the same time, a tradition was established at the start of the Edo Period by the first Tokugawa Shogun, Ieyasu, because he believed the best way to keep a lid on dissent was to use local strongmen. And so power gradually became concentrated in the hands of gambling operators. They even took on the role of law enforcement. The other factor in the development of the gangs was the period of confusion after World War II, with the emergence of black markets and so on. That was when today’s prominent groups all achieved their current states. Of course, the police force was under the control of the GHQ (the headquarters of the Allied Occupation from 1945 until it ended in 1952), so it was toothless. And then the bōryokudan went and started having gang wars among themselves. And the more they did that, then the more their image of power and menace grew and, often, young people were attracted to that. Describe the work involved in pursuing bōryokudan. What did you do in the organized-crime department? It’s 80 percent investigation, 20 percent arrests and prosecutions. An important thing is not to get too focused on just one aspect. You should have a broader approach and pursue about two or three angles at a time. And you need to work as a team, you need to build up a picture from what all the team members can see. When was the time you felt most afraid for your personal safety? I never did. Even when I went into a situation where there were guns, where the boss might be crazed and on drugs, there was no fear. In those situations, you focus your whole mind on two things: ma’ai (spacing, or distance) and timing. Even after I started overseeing those kinds of operations, I remember that it was always the same. Once you’ve gained confidence with ma’ai and timing then the fear goes away. Ma’ai is the distance, both physical and mental, between yourself and the other party. And then there is the timing — to make sure you don’t unintentionally burst in on them. For the most part, bōryokudan members won’t set out to do anything to a police officer. The cases where officers have been killed are generally when the bōryokudan members didn’t intend it, but circumstances prompted desperate measures. The situation where bōryokudan really are scary, however, is when they become what in medical terms you might call a cancer. When you can’t see what they are doing, because they are using third parties and youths for their own gain; when they start to create systems that feed them funds indirectly, then that is dangerous. What was the most satisfying moment in your career? There was one incident, a really big incident that turned into a big scandal. I won’t mention the names of the companies now, but it involved bid-rigging in the construction industry. 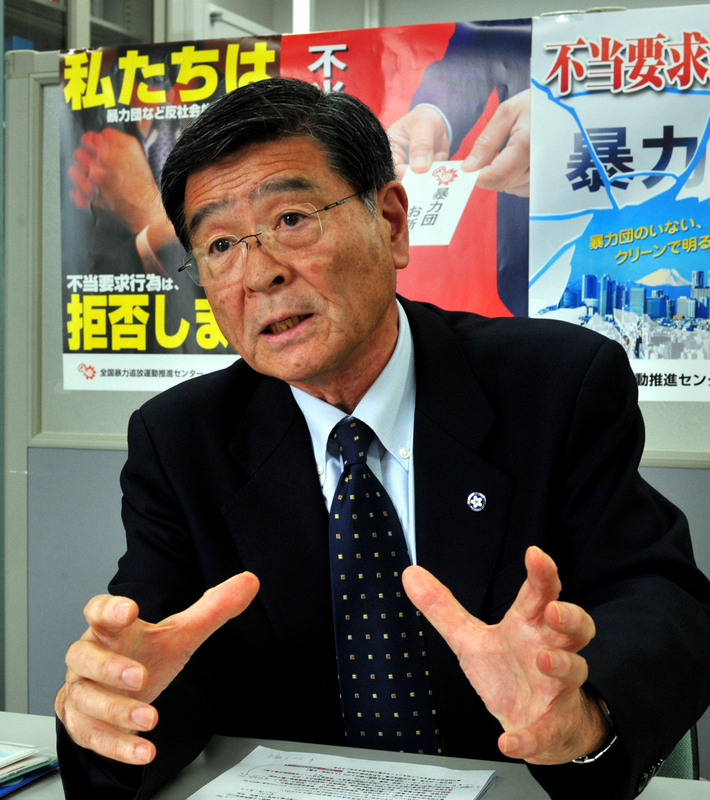 Bōryokudan and sōkaiya (people or groups paid to disrupt shareholder meetings, annual general meetings and suchlike) found out about the bid-rigging and the head of one company in particular, who was scared of them making that information public, paid them off. Of course, it just got bigger from there. Next they came around threatening to reveal to shareholders that he had somehow generated funds to pay them off. The deeper he was drawn in, the more difficult it became for him to talk. This is an example of how the Japanese culture of shame can really have a negative effect. Anyway, our aim was to pursue an extortion case against the bōryokudan and sōkaiya. The problem was that in order to make a blackmail case in Japan, you need the victim to file a complaint. That meant that the bid-rigging and the payments would come to light. Public trust in the company will be jeopardized. And so we had to convince the company heads to talk. Over and over again, we had to assure them that we would guarantee their safety, protect the witnesses, the individuals. Eventually, the top of one company made a brave decision — he filed the complaint — and thanks to that, we were able to take down the entire network. In that case, I got him to talk, but the problem remains: Without a complaint, the police can’t make a case. But these new ordinances go a ways to rectifying that situation (because paying an extortionist is itself now punishable). Tell me about the new antigang ordinances. Now the regulations are saying that this is what we are all going to do. And if you don’t fulfill your obligation, and you permit some sort of benefit to accrue to a bōryokudan — if you sell them office space or something — then you are going to pay a penalty. You won’t get fined immediately, but you will be warned, and if you don’t heed the warning, then we will make it known publicly what you are doing. Your company will then lose the trust of the public, banks won’t lend you money, your company will go bankrupt. You will be punished. Will the ordinances not impinge on the ability of bōryokudan members to live in society as individuals? What if they take their family to a shop or a restaurant? The regulations are aimed at preventing acts that benefit bōryokudan as organizations. Their key role is to eliminate uncertainty, so that all members of society can pro-actively try to protect the safety and peace of their lifestyles. For example, in a situation where you suspect a person might be a bōryokudan member, your obligation is now to try and find out — your local Bōtsui Center or the police will help you. That way, the old reactions of just resigning yourself to victimhood, of giving in to fear and uncertainty will disappear. Getting back to your question: If a bōryokudan member takes his family to a restaurant, then I don’t think it could be argued that that activity is providing a benefit to the bōryokudan as an organization. But, if the boss of a group and all his underlings head off to a restaurant together and they stand up and go, “Hey, kanpai (cheers)!” then, yes, that activity could be interpreted as contributing to the power of the group, and thus the operator of that restaurant could be in trouble. It seems the ordinances are focused on non-bōryokudan members who intentionally or not come into the bōryokudan orbit. Could lawmakers not make more laws that focus directly on the bōryokudan? Hmm. You’re right. But recently there have been efforts made in that direction. For example, the recognition of employer responsibility was particularly significant. That is, if an underling commits a crime then the boss can be held responsible for it. Do you mean the 2004 decision? Yes. It was a decision of the Supreme Court. That prompted big changes to be made to the Act on Prevention of Unjust Acts by Organized Crime Group Members. It also had a big influence on civil law too, as victims could then start pursuing damages cases all the way to the tops of those organizations. As a police officer, did you ever wish there were more robust laws to prosecute bōryokudan? I really think things are heading in the right direction now. Sure, you could make a law, but the moment you do that then you enter the realm of interpretations and limited definitions and judicial precedent. What’s necessary is a change in the consciousness of the public. Also, these recent ordinances are not an isolated measure. In June 2007, the government established the “Guidelines to enable companies to prevent damages caused by antisocial forces.” Those don’t have the force of law, but they do allow the government to exert pressure on the corporate sector. The guidelines recommend that companies establish departments designed specifically to deal with unlawful requests from bōryokudan, and also that they include bōryokudan exclusion clauses in all their contracts (so if they discover after signing a contract with a company that it did have bōryokudan connections, they will be able to dissolve the contract). Every industry has a regulatory authority within the government, and so the government is able to exert pressure on those who don’t comply. If you just said, “Let’s exterminate the bōryokudan,” and made a law to that effect, then it wouldn’t work. First of all you need the public to cooperate, you need to strengthen the private business sector. The guidelines, and now the ordinances, are leading people in the right direction. Are there any industries that will find it particularly hard to follow the ordinances? Well, regarding the construction industry and the financial industry, efforts to eradicate the influence of the bōryokudan are really accelerating. 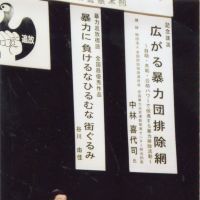 In 2006, of course, the government decided to exclude bōryokudan or related groups from any public projects. In the financial and real estate sectors, the guidelines are having an effect. One area of concern is the operation of local festivals. The bōryokudan connections there go way back, and those areas lack coordination. But, the ordinances of course include festival operation, and in places like Ehime Prefecture (in Shikoku) they are already being utilized. How about the entertainment industry? Will there be further noticeable changes to prominent television shows? I wonder. If a broadcaster ascertains particular information about people on their shows, if they ascertain that influences are in play, then they will have to make a decision. The talent agencies, too, are going to have to follow the guidelines and ordinances. What is your advice for individuals who fear falling victim to bōryokudan? If you’re unsure, then from that moment, that moment of uncertainty, you should visit your local Bōtsui Center. The Bōtsui Centers are recognized by the National Public Safety Commission. 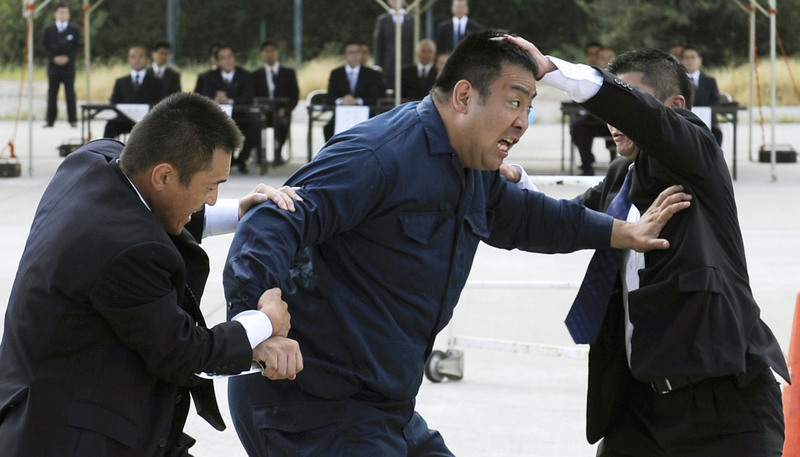 They are manned by former police officers and others who have extensive experience dealing with bōryokudan. The centers can recommend lawyers for civil cases, too. And we conduct training for business owners and corporations. You mentioned that the existence of bōryokudan was a reason you joined the police force. What is the ultimate goal in dealing with the gangs? One of the goals is a healthy society. That is the purpose of the recent ordinances. It’s important not to lose sight of this. What does it mean to have a healthy society? What it means is that you make a society in which people are not afraid of the shame that comes with admitting mistakes or dubious behavior, so feelings of guilt don’t turn inward and turn into secrets. That’s the kind of thing the bōryokudan feed on, that is what makes them strong. The more you turn inwards, the more you need to put a lid on things, the worse things become. And a healthy society is a safe society, as there is no gap between appearance and reality. If that happens, then the bōryokudan will become isolated, they will lose access to funds and they will disappear. And of course, to achieve that we need to reintegrate former gang members into society. We need to work with the correctional facilities, prison councilors and public job-placement agencies. The gangs reached their peak just one year after you joined the police force. Compared to then, how close is Japan now to realizing a “healthy society”? Well, the ordinances are the latest indication of the seriousness with which society as a whole is trying to sever relations with the bōryokudan. The open gang warfare has obviously stopped. You don’t see gang members parading through the streets like you used to. In those ways, things are a lot better than they used to be, and recent regulations and ordinances are heading in the right direction. But, as I mentioned, bōryokudan are starting to become more sophisticated in their use of periphery organizations and companies, so now is not the time to drop our guard. The website of the National Center for the Elimination of Bōryokudan is at www1a.biglobe.ne.jp/boutsui/.